She's tried blonde, black and red, and experimented with straight hair, curly bobs and sleek bangs. But now Rihanna has decided to update her look once again, going for one of her most drastic changes yet with a super-short cropped hairdo. The incredibly short look is a sharp contrast to the long wavy hair Rihanna has been sporting in recent weeks. However, it's not the first time Rihanna has tried out a more androgynous look with her barnet, as she previously sported a crop for her role as Cora Raikes in blockbuster movie Battleship earlier this year. She also had a shorter 'do back in 2009, but the style was longer on top giving it a more feminine feel. 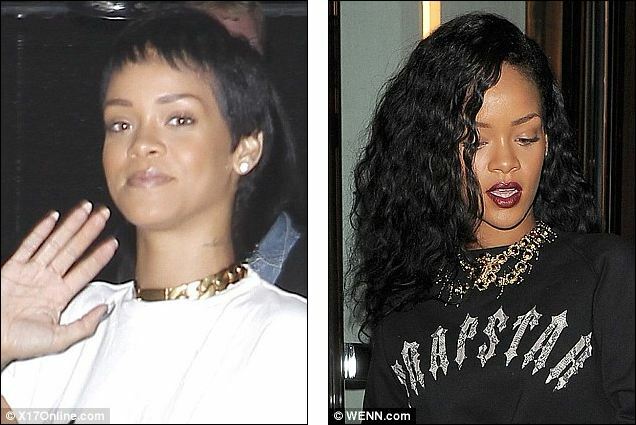 The new look is undoubtedly the shortest Rihanna has ever had her hair. Surprisingly, Rihanna made no mention of her new look on her Twitter page, where she usually keeps fans regularly updated with any changes in her appearance.